What is the Best Caterpillar Management Plan For Your Property? Since Gypsy Moth Caterpillars have just recently become a problem in the last couple of years in this area, we’ve had to adjust our management strategy to be sure we’re targeting BOTH Winter Moth AND Gypsy Moth Caterpillars and not just one or the other. Since the timing for the sprays piggyback one another, timing can be tricky. We also want to be sensitive to your budget, so we don’t want to recommend sprays that you don’t need. 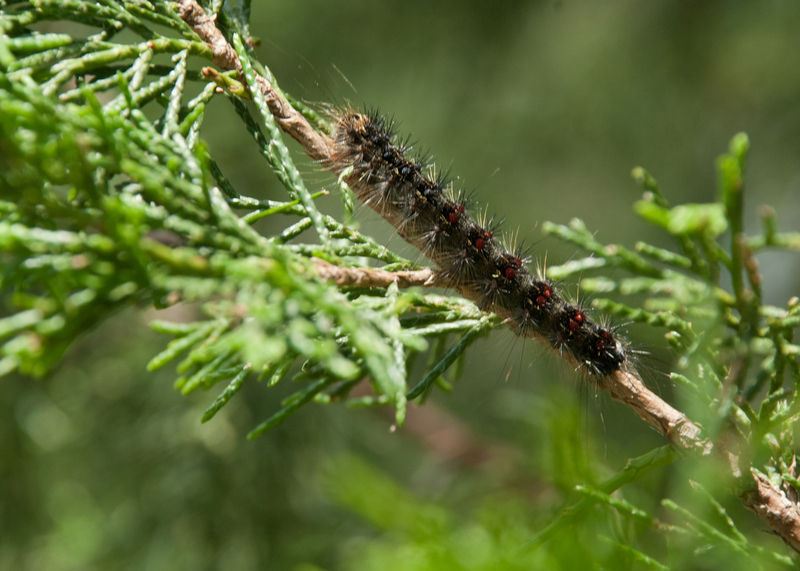 Although we have observed higher populations of Gypsy Moth Caterpillars in certain areas of the Upper Cape, it’s difficult to predict the expansion of those areas for this upcoming season. Given the existing population, we would recommend all customers have 2 insecticide sprays performed and forego any oil applications (which you may or may not have had done in the past) to get the best coverage for BOTH caterpillars. If you elect not to manage your property with two insecticides and would like to maintain the same plan as last year, we would be happy to provide those services. It’s important to remember that even though your property is protected from Winter Moth Caterpillars, the Gypsy Moth Caterpillars emerge afterward and can still leave your trees defoliated. Also, the spray is only effective once the trees start to bud out. Since oaks tend to leaf our later than maple trees, 2 insecticide sprays also gives you the best coverage for the different species that may be on your property. 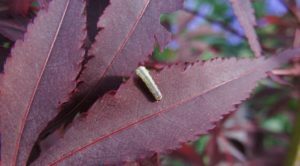 We all know how much of a pain caterpillars can be in our landscape whether they’re defoliating our trees, falling on our cars, or dropping their excrement on our patios, caterpillars are a huge nuisance on Cape Cod. Timing is everything with these critters and there is a very small window of time in the spring to target them before the damage is done. We recommend a properly timed application of insecticide to be applied to the canopy of the tree once the leaves begin to emerge. Deciduous trees including oaks, maples, fruit trees, as well as shrubs such as roses, lilacs, and blueberry bushes are their main targets. Winter Moth Caterpillars can wreak havoc on your trees if not properly treated. Even as few as four years of repeated defoliation could lead to the mortality of your tree. 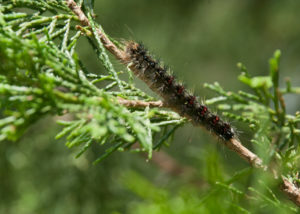 Gypsy Moth Caterpillars were a large issue in the 80’s and have recently returned to certain areas of the Cape. There’s actually a naturally occurring fungus called Entomophaga that normally combats these caterpillars, but the dry conditions we’ve had for the last couple of years have not allowed this fungus to grow. Without this fungus, the gypsy moth caterpillars can thrive. They feed on similar trees as the Winter Moth Caterpillars, as well as pine trees. They are a force to be reckoned with as they can easily defoliate a single tree in under 24 hours. The timing of this caterpillar spray is also important and the window of opportunity is just after the Winter Moth Caterpillar spray. Even if you protect your property from Winter Moth Caterpillars, the Gypsy Moth Caterpillars could still defoliate your trees if they emerge in your area. Unfortunately, it’s difficult to determine exactly where they will be an issue but research has shown that the populations have been expanding more and more across Upper Cape over the last couple of years.